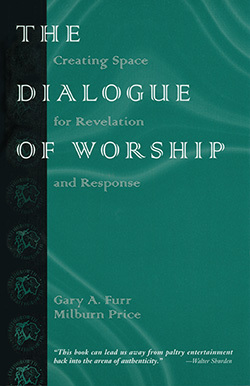 While exploring the nature and content of worship as a dialogue between God and the worshiping community and within the community, the authors of The Dialogue of Worship also discuss the role of music, planning, and a variety of settings for worship. This interdisciplinary approach is appropriate for anyone involved in planning, leading, or studying worship. Gary A. Furr is pastor of Vestavia Hills Baptist Church in Birmingham, Alabama. He has served churches in Georgia, Texas, and North Carolina. He leads spirituality retreats and is a member of the Academy for Spiritual Formation. Milburn Price is Dean and Professor Emeritus of the School of Performing Arts at Samford University in Birmingham, Alabama. He served as Dean of the School of Church Music at the Southern Baptist Theological Seminary in Louisville, Kentucky from 1981 to 1993 and Chair of the Music Department at Furman University from 1972-1981.